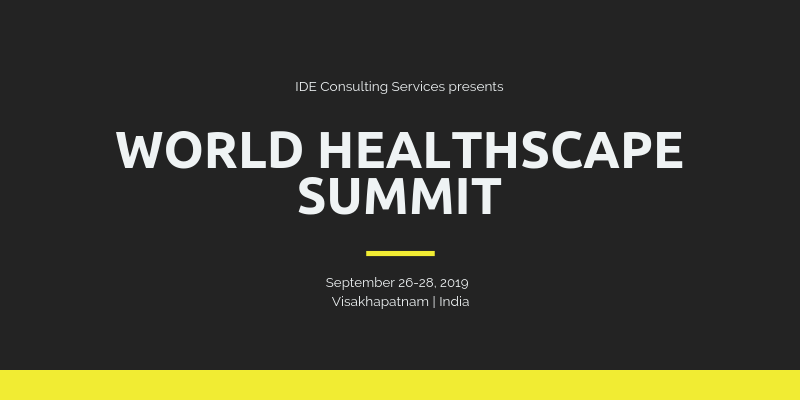 World Healthscape Summit will feature medical technology development that aims to reduce the country’s import dependency, lead innovation in medicine by providing world-class facilities for medical device manufacturers and help in volume-generated cost reduction of medical devices for patients. The Healthscape summits are strategically modelled networking activities that result in creating meaningful business relationships and facilitating information exchange amongst the most elite assemblage of hospital owners, healthcare architects, design consultants, industry experts and service providers—making it the most sought-after business summit by the healthcare fraternity of India. Individuals interested in innovating healthcare, service providers, hospital owners, healthcare architects etc. IDE, started in 2012, is a forerunner in organizing world-class B2B procurement events in the real estate, hospitality and healthcare sectors.